(Bloomberg) -- CWT International Ltd., controlled by HNA Group Co., failed to pay interest on a HK$1.4 billion ($179 million) facility, prompting lenders’ demand for immediate repayment of the loan, the company said Tuesday. The logistics, commodity marketing and financial services company faces a repayment deadline of 9 a.m. April 17, according to a statement to the Hong Kong stock exchange. If it fails to settle the loan by then, the lenders will take possession of all charged assets, including its shareholding of CWT Pte, properties in the U.K and the U.S., and golf courses in China, it said. The charged ones represent a “vast majority” of its total assets, which stood at HK$24.6 billion as of end-2018. 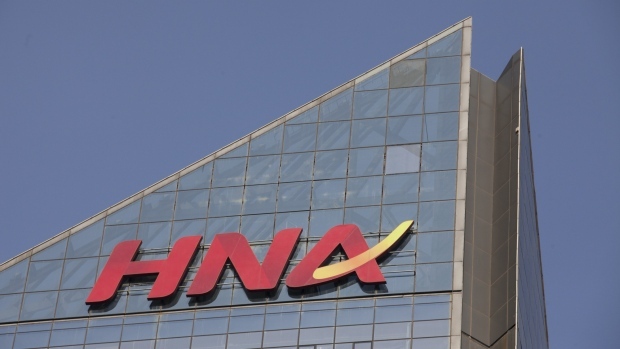 CWT International’s parent HNA Group was one of China’s most acquisitive companies until it began facing liquidity challenges and pressure from the government. The conglomerate has agreed to sell more than $25 billion of assets ranging from property to big shareholdings since 2018. Despite that, it still struggles to repay debt. The group repaid a local note after a delay last month. CWT International has been actively negotiating with the lenders in order to work out other arrangements for the repayment due under the facility agreement, it said. The default, however, led to a cross default under a term loan facility, which has about HK$766 million outstanding, according to the statement.